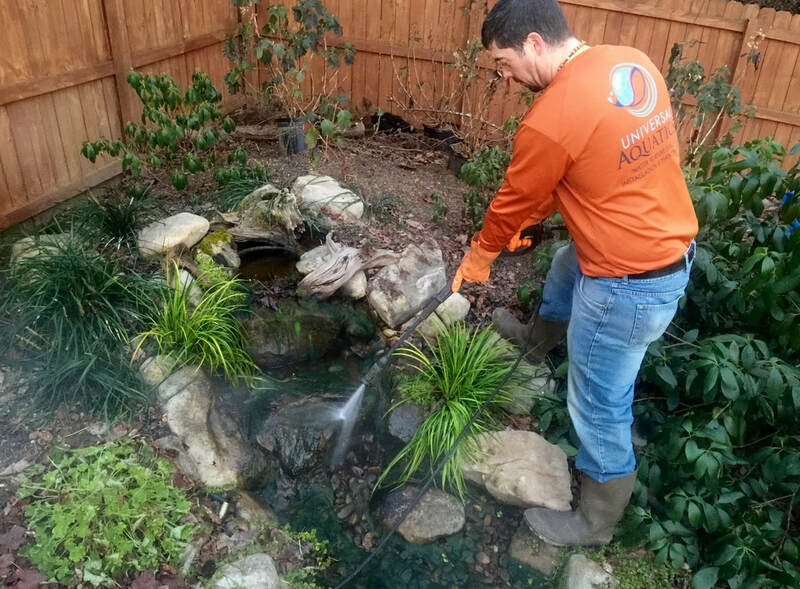 Universal Aquatics is a Certified Aquascape Pond Contractor that provides professional and quality services for the design and installation of one of a kind ponds & water features in the Duluth, Johns Creek (Fulton County) area. 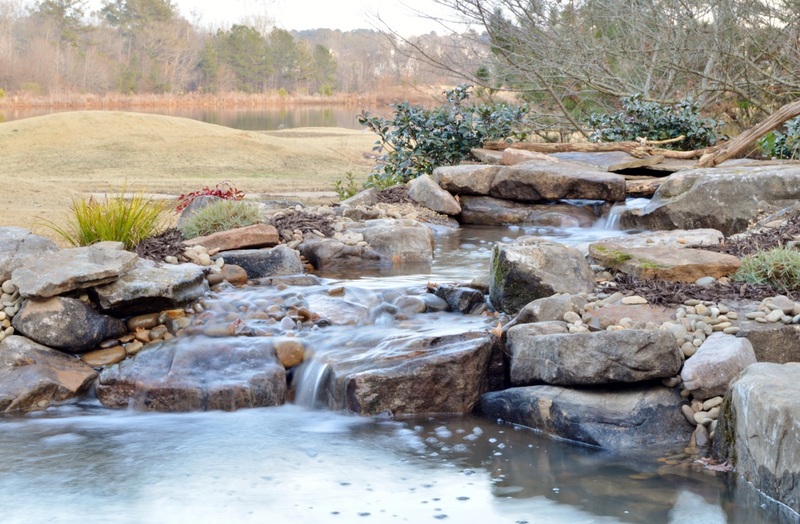 These include landscaping ponds, koi ponds, waterfalls, pondless waterfall systems or disappearing water features, Garden fountains, basalt column fountains, retention ponds, bog filters, wetland filters and more. No matter if you desire the elegance of an Asian inspired design or the tranquility of a terraced stream, we can bring your ideas to life. After your pond is installed, we can keep it crystal clear with a pond maintenance schedule so you can enjoy your new space without lifting a finger. We at Universal Aquatics believe in continuing education in the water gardening industry. We attend several training and education seminars across the country to improve upon our knowledge and skill with regards to designing, building and the maintenance of pond and waterfall systems.